I love when a couple of my passions come together for great lessons. It probably won’t come as a big surprise that I enjoy writing. My being here as a guest blogger is kind of a dead giveaway. But, I’m also a big fan of Tom Hanks. Recently these two things joined up to remind me of some important writing wisdom. While visiting Indiana, I had the opportunity to visit League Stadium, which is one of the shooting locations for the Tom Hanks movie A League of Their Own. As I stood in the outfield, I realized writing is a lot like baseball, and the film had some things we writers can take to heart. Okay, so maybe there’s some crying in writing. Rejection letters cut to the core because we’ve put our heart and soul into our work. When someone doesn't accept our article, story, or proposal we may be hurt and even cry. I know I have at times. We need to have our moment, but eventually we have to remind ourselves that there is no crying in writing and get right back out there and try again. Trying again is important. 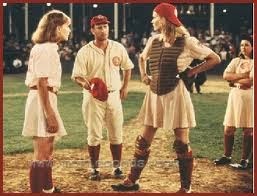 At one point in the movie, the following scene takes place after a batter misses a ball and the umpire calls a strike. 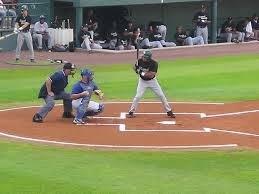 Umpire: Listen, yesterday that was a ball, tomorrow it might be a ball, but today it's a strike. Writing can be as subjective as this umpire feels a ball and strike can be, but rejection doesn’t necessarily indicate that your work stinks. Sometimes it’s just a matter of not being right for the agent or publisher you've approached. If you give up too soon, you might miss something great. So, dry those tears and try again. Tomorrow it may be a ball. The best bit of advice from the movie comes when Dottie, the star player, is ready to quit after a fight with her sister. Jimmy Dugan asks her why. She says, “It just got too hard.” He responds, “It's supposed to be hard. If it wasn't hard, everyone would do it. The hard is what makes it great.” Writing takes work and dedication, but if you persevere, it can be great. Truly, writing is tough. Don’t quit without giving yourself a chance to be a star. Now get out there and play ball, spring training is just around the corner! Tamara D. Fickas is a writer by night while working in a hospital business office by day. She has always seen the world in a series of stories and enjoys sharing those stories. In 1997, she had a very personal experience with the living Lord and stepped into the greatest story of all times. It is her to desire to use her words to help share God’s love to a hurting and broken world. Tamara is a contributing author to God’s Provision in Tough Times – 25 True Stories of God’s Provision during Unemployment and Financial Disaster. 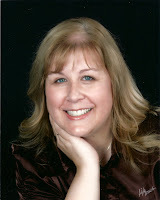 She has written for the reader’s section of her local newspaper, has written several biographies for www.inspirationalchristians.org, and shares her take on the living an abundant life in the Lord atwww.rockymountainwriter.com.